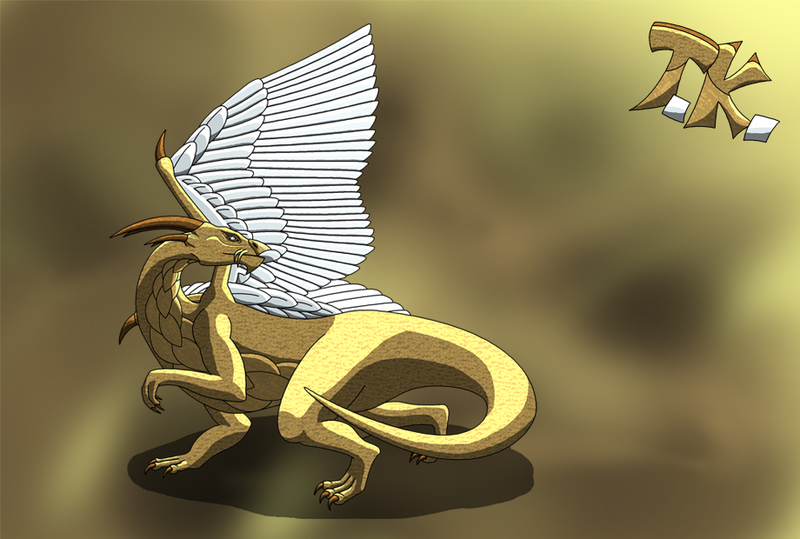 The gold dragon is the most elegant and noble creature in all of Pangaea. Its scales are the fairest shade of gold you’ll ever see, and its silver wings shimmer like glass in the moonlight. 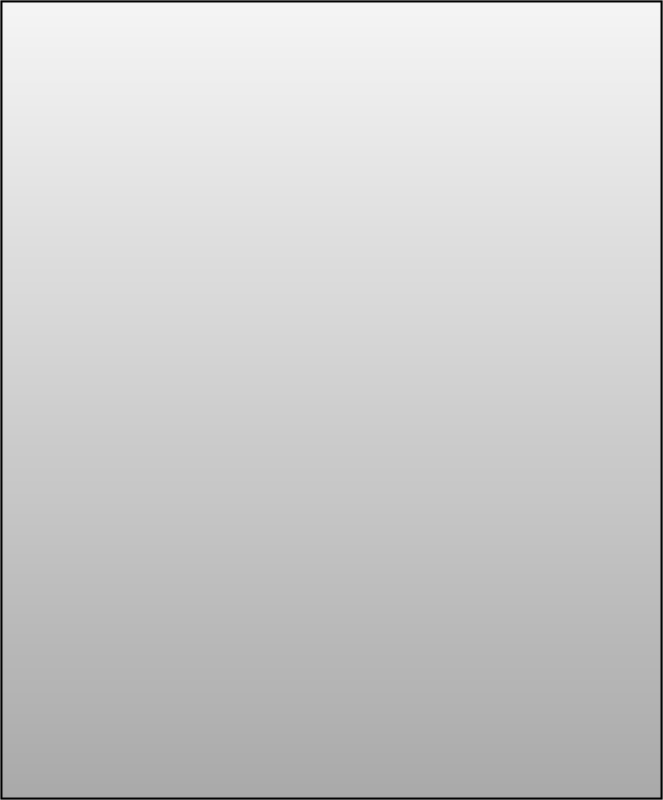 Because of its large wings it is able to spend most of its time flying. It can glide for hours on end without once having to land and rest. This dragon is known to be a peaceful creature that rarely engages in violence with other animals outside of hunting prey to feed itself. However, if threatened it has no qualms about fighting back. It breathes a white flame so bright that it can blind anyone and anything that looks directly into it. 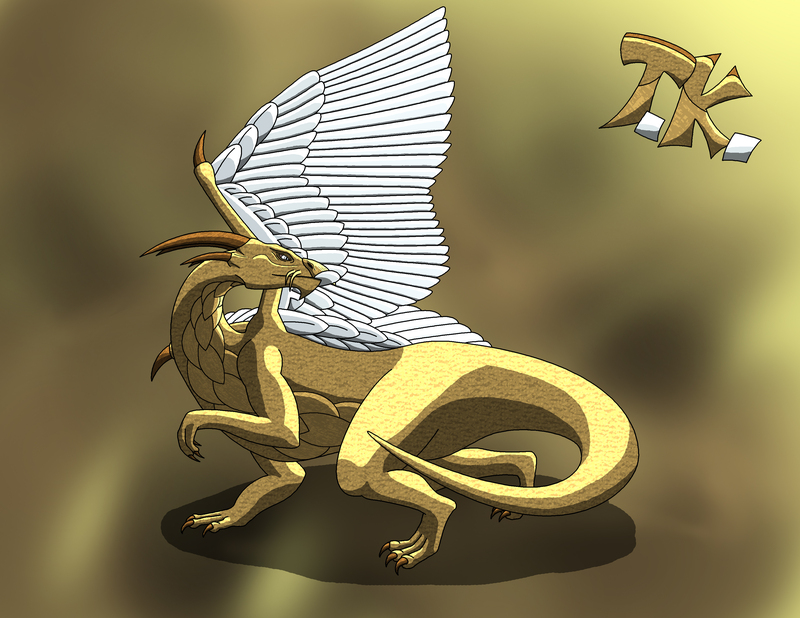 The overall population of gold dragons is lower than any other dragon species in Pangaea. They also don’t have easily discernible habitats as they have been spotted in places all over the world. The one place they are seen most often is the holy city of Zerikan in the Draknor Empire where the Shrine of Light resides. Once a year in the middle of summer gold dragons from all over the world flock to this city for a week. It is during this week that the city holds a celebration called the Sun Festival, and people from all over the world come to the holy city to see the gold dragons. Gold dragons are often regarded as symbols of good fortune, due to their peaceful nature and scarce population. There is a tradition regarding gold dragons that the people of Pangaea uphold: If you are ever fortunate enough to see a gold dragon up close you give it an offering of food, and if the dragon accepts it good luck will come your way. If it doesn’t, then something very terrible is going to happen to you in the near future.